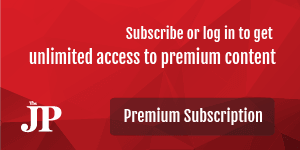 Poles will gather on Saturday in the Baltic port city of Gdansk for the funeral of murdered liberal mayor Pawel Adamowicz, whose public stabbing has raised questions about hate speech in politics in the country. Around 3,500 people, including Polish President Andrzej Duda and EU Council President Donald Tusk, a longtime friend of Adamowicz, are due to attend the ceremony. Duda has announced a day of national mourning. Adamowicz, 53, was stabbed in the heart in front of hundreds of people at a charity fundraiser last weekend by an ex-convict wielding a knife. The 27-year-old attacker, who reportedly has a history of mental illness, had previously been sentenced to more than five years in jail for armed robbery. Recently released, the man claimed he was wrongly imprisoned by the previous government -- led by the centrist Civic Platform (PO) party, to which Adamowicz once belonged. For many Poles, the mayor's murder cannot be solely blamed on the knifeman but also the prevalence of online hate speech and toxic divisions between the main political parties. "It's hatred that killed Pawel," PO leader Grzegorz Schetyna told lawmakers on Wednesday. "A well-organized, crazy hatred directed at a man who with the help of thousands of Gdansk residents was building this great, proud and free city," he added. Politicians from PO and the ruling conservative Law and Justice (PiS) party have traded barbs for years, as have their supporters online, with critics accusing the government of tacitly condoning the atmosphere of hostility. Numerous media outlets have compared Adamowicz's murder to the 1922 assassination of Polish president Gabriel Narutowicz by a fanatical nationalist at a time of rampant hatred. 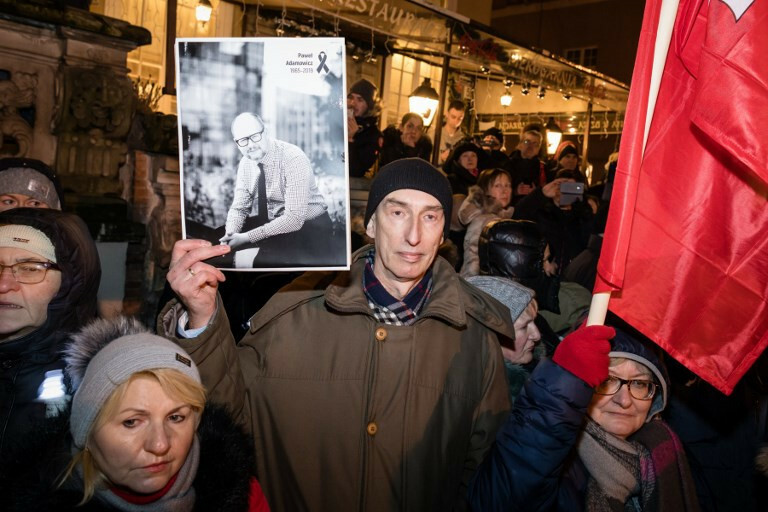 Since Adamowicz's death, Polish police have detained several individuals for uttering or writing threats against other politicians. Adamowicz's Gdansk funeral will take place Saturday at St Mary's Church, one of the largest brick churches in the world, where his casket will be permanently located. The Polish president, Prime Minister Mateusz Morawiecki and Polish Nobel Peace laureate Lech Walesa are expected to take part in the ceremony. Scores of mayors from across Poland and abroad are also due to attend and large screens have been set up around the church to allow city residents to watch the funeral. Six psychologists will be available to people at the event. Tens of thousands of people have already queued for hours to see the late mayor's casket, covered in white flowers and the city's red flag, and to sign a book of condolence at the city's European Solidarity Centre. Gdansk, a city of around half a million people, was the cradle of Poland's anti-communist Solidarity movement in the 1980s. Adamowicz, mayor of Gdansk for two decades, was backed by the PO party in 2018 municipal polls and won re-election with 64 percent of the vote. The capital Warsaw has named Adamowicz an honorary citizen. The attack on Adamowicz is unusual as political violence is rare in Poland. The last attack on a political figure was in 2010 when a man fatally shot an aide at a regional PiS office before stabbing another PiS employee, who survived.